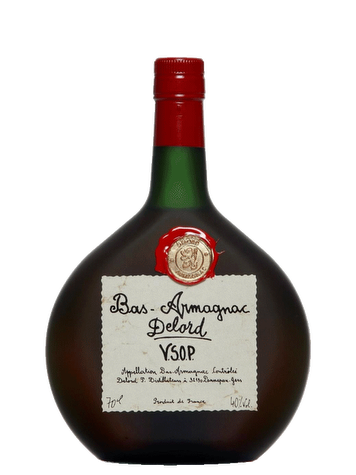 Armagnac VSOP (Very Superior Old Pale) is a blend of eaux-de-vie, aged under wood and in which the youngest is aged for at least 4 years. However, Armagnac houses are used for most of the oldest Armagnac in order to provide richer aromas. Vinification:A vinification with temperature control and a continuous distillation in stills equipped with trays "on spider legs." Finally, it is aged in new French oak barrels, for at least 6 years.